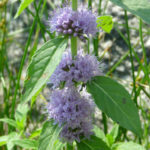 Mentha arvensis is a herbaceous perennial plant up to 2 feet (60 cm). It has a creeping rootstock from which grow erect or semi-sprawling squarish stems. The leaves are in opposite pairs, simple, up to 2.6 inches (6.5 cm) long and up to 0.8 inch (2 cm) wide, hairy, and with a coarsely serrated margin. 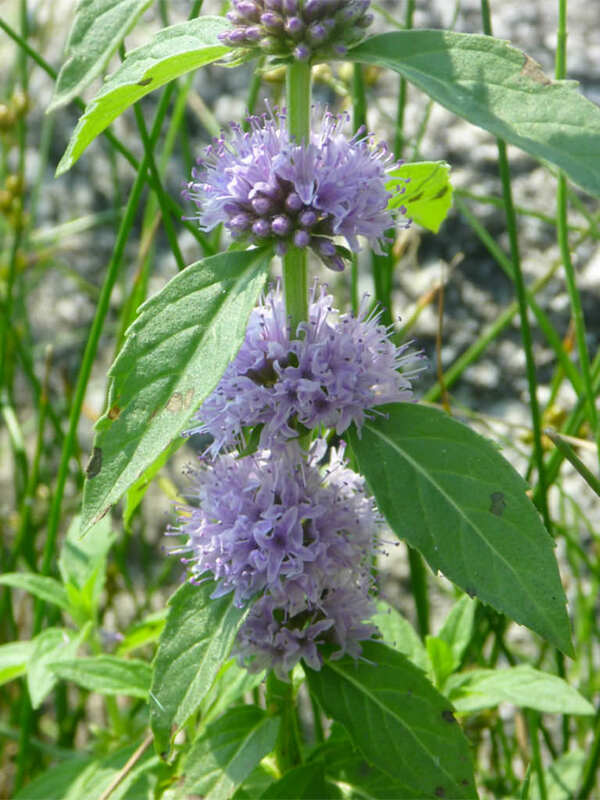 The flowers are pale purple (occasionally white or pink), in whorls on the stem at the bases of the leaves. 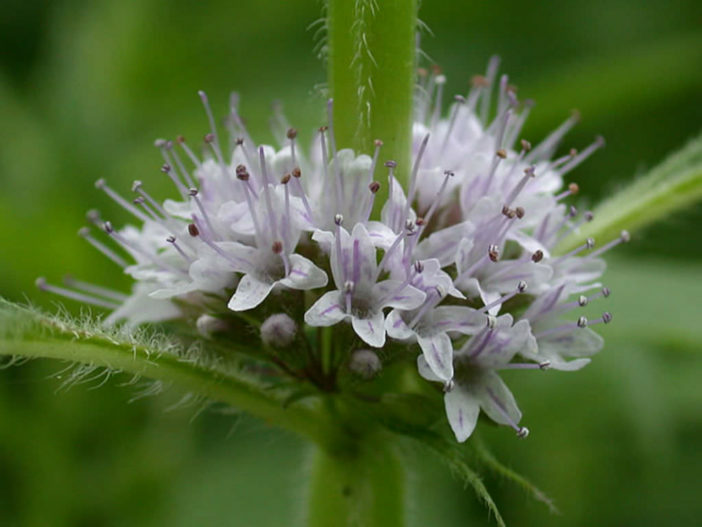 Each flower is up to 0.15 inch (4 mm) long and has a five-lobed hairy calyx, a four-lobed corolla with the uppermost lobe larger than the others and four stamens. The fruit is a two-chambered carpel. 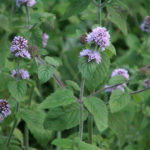 Mint is one of the few culinary herbs that grows well in shady areas, although it can handle full sun if kept watered. 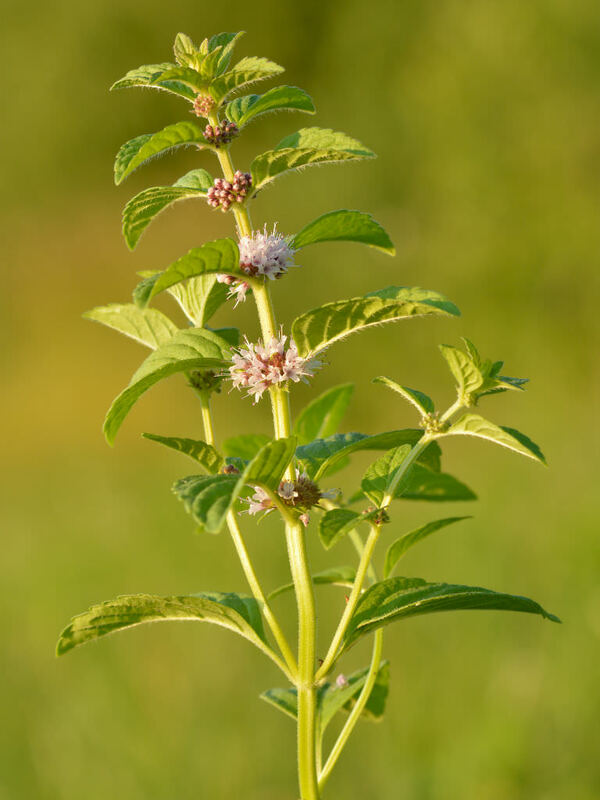 Cuttings of Mint will root easily in soil or water and mature plants can be divided and transplanted. However you can start new plants from seed. Sow outdoors in late spring or start seed indoors about 8 to 10 weeks before the last frost. Keep soil moist until seed germinates. 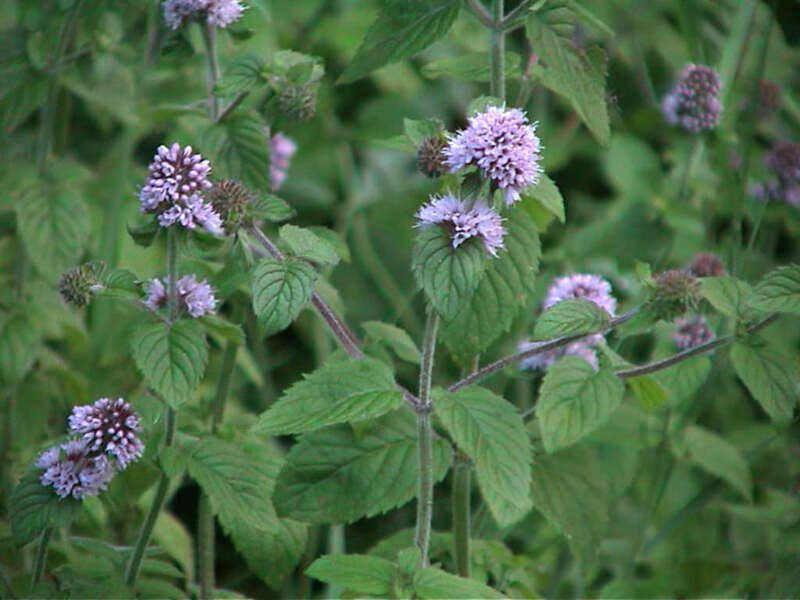 Mint prefers a rich, moist soil with a slightly acidic pH between 6.5 and 7.0. If the soil is somewhat lean, top dress yearly with organic matter and apply an organic fertilizer mid-season, after shearing. Native to the temperate regions of Europe and western and central Asia, east to the Himalaya and eastern Siberia, and North America.